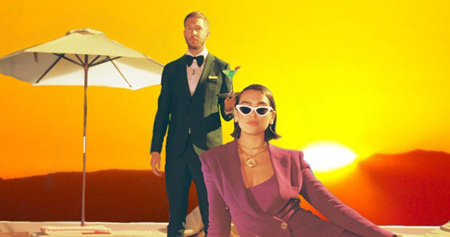 Calvin Harris and Dua Lipa are lip-locked at Number 1 on the Official Singles Chart for an eighth consecutive week. One Kiss, now the longest reigning Number 1 of Calvin’s nine UK chart toppers, secures another week at the top thanks to its dominant 5.5 million plays on streaming services. Jess Glynne, who had the most downloaded song this week with I’ll Be There, rises three places to Number 2, reaching its highest position to date in its fifth week of release. I’ll Be There becomes Jess’ eighth UK Top 3 single in the process. Clean Bandit and Demi Lovato’s Solo (6), Better Now by Post Malone (7) and George Ezra’s Shotgun (8) all reach new peaks within the Top 10, plus Kanye West secures this week’s highest new entry with Yikes (10), his 18th UK Top 10 single in total and first since February 2015. Kanye also scores two more Top 40 entries from his new album Ye – All Mine lands at Number 11 and Ghost Town at Number 17. Cardi B vaults three positions to Number 13 with I Like It ft. Bad Bunny & J Balvin (13), while Leave A Light On from Tom Walker (16) and Years & Years’ If You’re Over Me (19) enter the Top 20 for the first time this week. The 1975 are not too far behind with Give Yourself A Try; the lead single from their upcoming album debuts at Number 22. Further down the chart, Selena Gomez’s 13 Reasons Why soundtrack single Back To You continues to climb, up four to 23, one slot ahead of AJ Tracey & Not3s, who debut at 24 with Butterflies. Maroon 5’s new version of Girls Like You featuring Cardi B is also a new entry today, opening at 28. Finally, Youngblood, the current Number 1 single in Australia from 5 Seconds Of Summer, makes its first appearance in the UK’s Official Singles Chart Top 40 at Number 37. This entry was posted on Friday, June 8th, 2018 at 6:17 pm and is filed under Music News. You can follow any responses to this entry through the RSS 2.0 feed. Both comments and pings are currently closed.